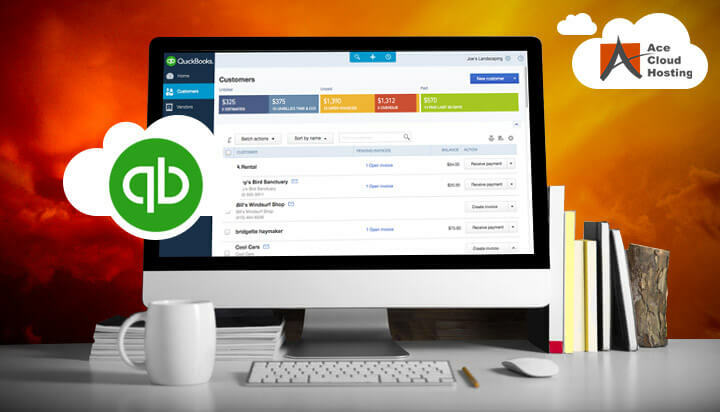 Have you heard about an accounting software called QuickBooks? If you work as an accountant, you must know about this popular program or you are just using it to manage the financial accounting for your business or organization. To be frank, this application is appropriate for small and medium-sized enterprises. So, sometimes you may find it’s not suitable for your work. After one month's free trial, you may want to completely get rid of it. But the folders are too many and hides deeply, without some specific and useful methods, you may miss one of the files and leave it residually. That’s the reason why this passage is written-to lead a guide on how to uninstall QuickBooks from your Mac efficiently and thoroughly. 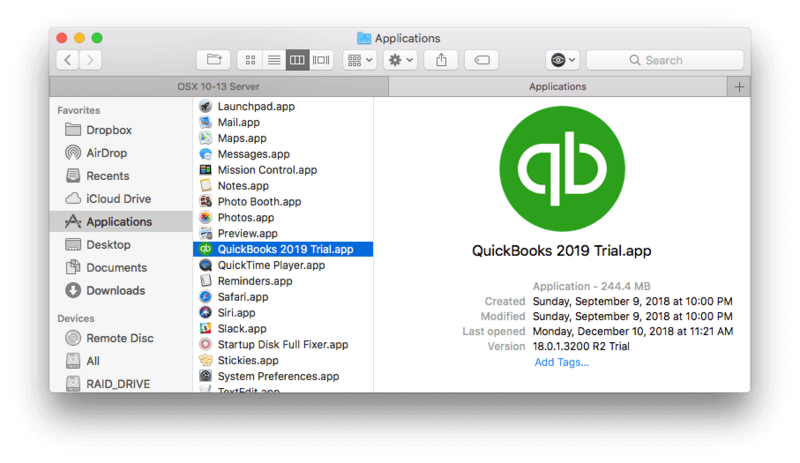 What's QuickBooks?How to Uninstall QuickBooks from Your Mac Automatically?How to Uninstall QuickBooks from Your Mac Manually?Let's Wrap It Up! QuickBooks is a popular accounting software developed by Intuit. It helps small and medium-sized corporations to deal with their invoices, pay bills, track cash flows and generate monthly or yearly financial reports as well as prepare for the business taxes in periods. Though QuickBooks is useful and helpful, there are many functions that cannot satisfy the whole accounting operations. At this time, you may want to uninstall the application and download another one. But do you know how to remove QuickBooks properly for your Mac? In the following, two useful methods are introduced. How to Uninstall QuickBooks from Your Mac Automatically? 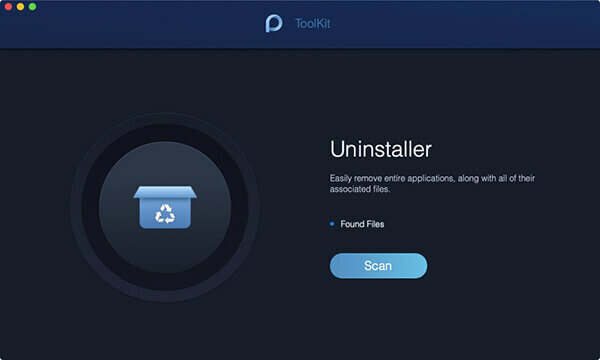 There are many cleaners and uninstallers that claim to help remove the apps unwanted in the market. If you don’t know which one is the best, why not take iMyMac PowerMyMac as a try? iMyMac PowerMyMac (PowerMyMac, below), is a free and highly efficient application that not only helps eliminate the app unwanted but also constantly optimizes the health status for your Mac. Unlike the other computer keepers, PowerMyMac has a clear and concise screen with three main modules-Status, Cleaner, and Toolkit. Now the function you need is the Uninstaller in Toolkit. Only a few clicks help you to thoroughly delete QuickBooks from your Mac. Thus, let us go down the passage and know more operation details. Download the application and launch it. Then, you will see the main interface with three modules-Status, Cleaner, and Toolkit. Enter Toolkit. There are rows of functions. Select “Uninstaller”. Click the “Scan” button after entering the Uninstaller. Wait for a second, the system will show you the occupied storage by each application on your Mac. If desired, press “Rescan” and examine again. Click the “View” button. The system will go to the application page. Then, the whole applications installed on your Mac are listed on the left column. Scroll the application list so as to find out the file of QuickBooks, or you can directly type the name in the search bar on the top. When it is found, click the box and it will go into details on the right side. In the right column, there are specific files of QuickBooks. Choose the one you want to delete or directly choose the option “Select All” to delete all the folders. Beside the option “Select All”, there is a “Sort By” option for you to straightly look for the file or folder you want, in case there are a lot of inside files in the app. After finishing selecting the files, click the “Clean” button to clear them. Then, there would pop up a window for clean confirmation. Confirm it and wait, the Uninstaller will remove the targeted application for you. Then, you will find the QuickBooks completely uninstalled on your Mac. Just a few clicks to achieve app removal. If you don’t have time or patience to find out the files that need to delete, PowerMyMac might be your best choice. Most importantly, it is free for download without any Plugin. Safety and high-efficiency are PowerMyMac’s priorities. How to Uninstall QuickBooks from Your Mac Manually? Don’t you want to download any cleaning applications anymore? Then, you should have a look at the following method that teaches you how to eliminate QuickBooks on your own. Right-click QuickBooks in the Dock. Then, choose to “Quit”. If the app is frozen or doesn’t respond, go and click “Command-Option-Esc” so as to activate the frozen windows. Then, find out QuickBooks and choose the files. Hit the “Force Quit” button and again in the pop-up dialogue. Open the “Activity Monitor” from Dock via Launchpad or Spotlight. Type “QuickBooks” in the search bar, and choose the processes that contain the keyword. Keystroke its icon on the upper left corner, then “Force Quit” the application in the pop-up dialogue. Right-click its icon again if it still remains in the Dock. Then, select “Options”, “Remove from Dock” one by one. Step 2: Start removing QuickBooks in the Finder. Find out its icon and select it. Either drag QuickBooks to the “Trash in Dock”, or right-click the mouse, then choose “Move to Trash”. Choose “Empty Trash” on the Finder menu, then click the button to clear the chosen files. Step 3: Find out the residual files and delete them. To uninstall QuickBooks manually needs you to be very patient and careful. If you don’t want to follow the boring steps one by one, choose the iMyMac PowerMyMac to help you. Simple operations and no residual files would be left! Besides, various tools and functions help you to safeguard and optimize your Mac. Now let’s download the app and start getting rid of those “stubborn stain”!